Hurricane Michael, the fiercest storm to hit Florida in a quarter century and the third-most powerful ever to strike the U.S. mainland, roared into the state’s Gulf coast on Wednesday with tree-snapping winds and towering waves. 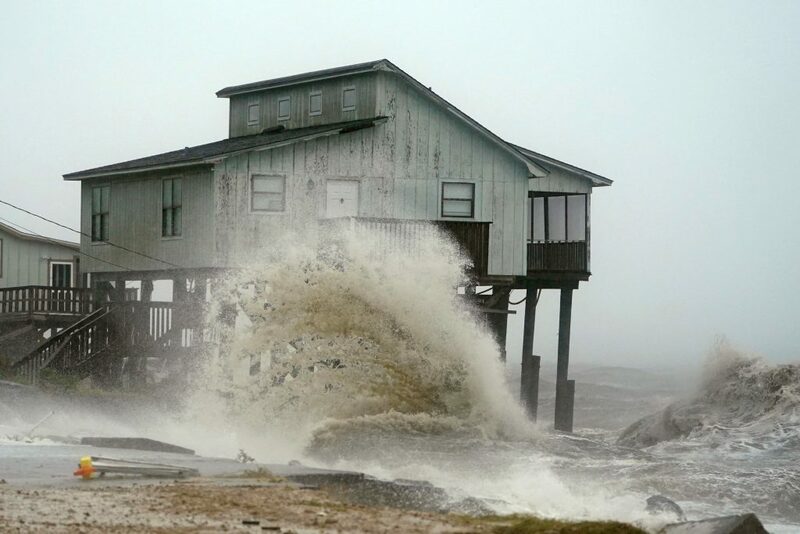 Michael, whose rapid intensification as it churned north over the Gulf of Mexico caught many by surprise, made landfall early in the afternoon near Mexico Beach, about 20 miles southeast of Panama City in Florida’s Panhandle region, with top sustained winds reaching 155 miles per hour. 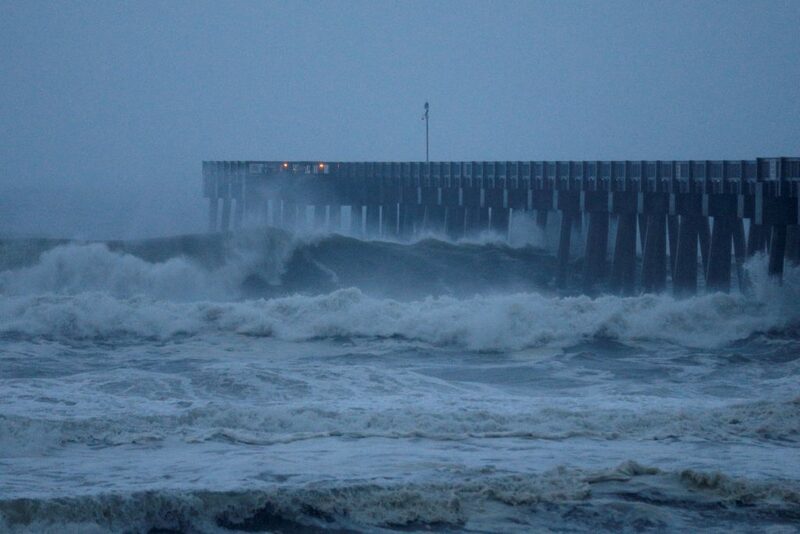 The storm came ashore as a Category 4 hurricane on the five-step Saffir-Simpson wind scale. Its sustained winds were just 2 mph shy of an extremely rare Category 5. As predicted, the storm was downgraded hours later to a still-formidable Category 3 with maximum sustained winds of 125 mph and higher gusts as it pushed inland to the Alabama-Georgia border. 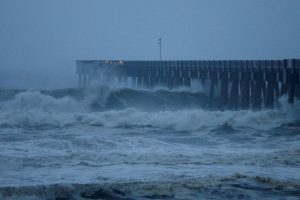 Causing major disruptions to oil and gas production in the Gulf even before its arrival, the storm was forecast to unleash waves as high as 14 feet above normal sea levels in some areas, the National Hurricane Center said. Only a couple of hours after Michael came ashore, floodwaters were more than 7-1/2 feet deep near Apalachicola on Florida’s Panhandle, National Hurricane Center Director Ken Graham said. Authorities had urged coastal residents in 20 Florida counties along a 200-mile stretch of shoreline to head to higher ground before the storm, but anyone who had not fled by Wednesday morning was told it was too late to evacuate. 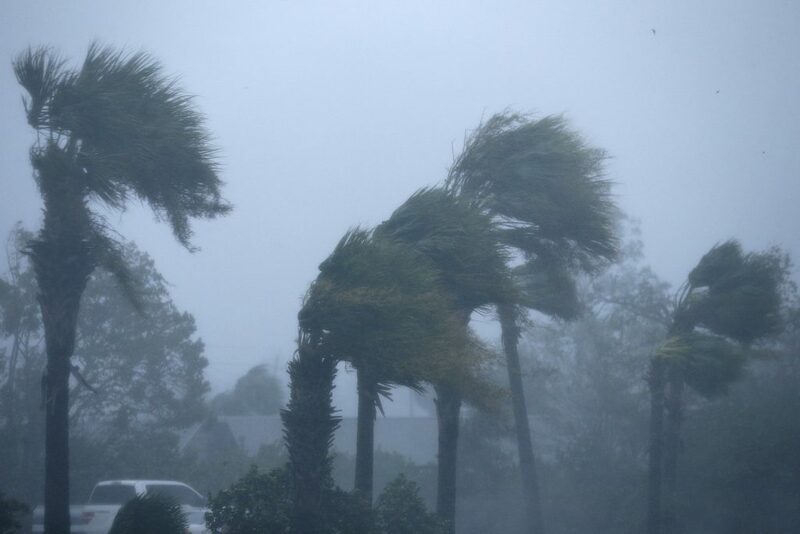 An estimated 6,000 evacuees took cover in emergency shelters, most of them in Florida, and that number was expected to swell to 20,000 across five states by week’s end, said Brad Kieserman of the American Red Cross. Even before Michael made full landfall, it was whipping trees with its winds and flooding the town of Port St. Joe. Patterson said about 2,500 of the town’s 3,500 people had stayed put, including about 100 in a beachside area who ignored a mandatory evacuation order. “This happened so quickly, we weren’t exactly prepared,” he said. Brock Long, head of the Federal Emergency Management Agency (FEMA), said early evacuation efforts in the area were slow. Michael grew from a tropical storm into a Category 4 hurricane over the course of about 40 hours. “Satellite images of Michael’s evolution on Tuesday night were, in a word, jaw-dropping,” wrote Bob Henson, a meteorologist with weather site Weather Underground. With minimum barometric pressure recorded at 919 millibars, a measure of hurricane strength, Michael stood as the strongest storm ever to hit Florida’s Panhandle and the most intense anywhere in the state since Hurricane Andrew in 1992. Michael also ranked as the third-most powerful storm on record to make landfall in the continental United States, after Hurricane Camille on the Mississippi Gulf Coast in 1969 and the so-called Labor Day hurricane of 1935 in the Florida Keys. President Donald Trump declared a state of emergency for the entire state of Florida, freeing up federal assistance to supplement state and local disaster responses. He was briefed by FEMA’s Long in the Oval Office on preparations. 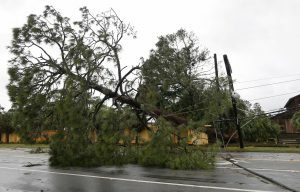 At mid-afternoon, about 192,000 homes and business customers were already without power in Florida alone, with more outages reported in Georgia and Alabama, utility companies said. Michael was forecast to move across southeastern Alabama and southwestern Georgia on Wednesday night. Helen Neal, 88, and her husband, J.W. Neal, 87, preferred to take their chances in a hotel rather than stay in their two-story Panama City Beach beachfront house about a mile away. About 3,500 Florida National Guard troops were deployed to assist with evacuations and storm recovery, along with more than 1,000 search-and-rescue personnel, Governor Rick Scott said. NHC’s Graham warned that the storm would continue to pack tropical storm-force winds when it reached the Carolinas, still reeling from severe flooding in the aftermath of Hurricane Florence last month. Up to a foot of rainfall was forecast for some areas from Michael. Scott declared a state of emergency in 35 Florida counties. Georgia Governor Nathan Deal declared an emergency for 92 counties in his state, and a state of emergency also was announced in North Carolina.